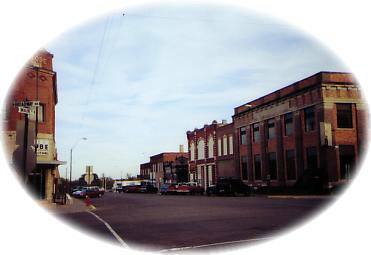 Hartington is situated in the rolling hills of northeast Nebraska on the extreme eastern edge of the Great Plains. The Cedar County Courthouse stands as a beautiful landmark since it was built in 1892 after the county seat was voted to be moved from St. Helena in 1885. Hartington was named for Lord Hartington of England. In September 1888 a fire started in the basement of Lynde's livery stable and swept north, destroying nearly two blocks of the business district. As a result, an ordinance was passed that required all buildings to be constructed of brick or stone, with fire walls between every other building. Many of the buildings on the north side of Main Street today are those that replaced those destroyed by fire. In 1900 Holy Trinity Parochial School built a K-12 facility a block south and west of the public school. In 1964 a consolidation of parochial high schools in Cedar County resulted in the establishment of Cedar Catholic, one of the largest parochial high schools outside of the Lincoln-Omaha areas. Under the guidance of progressive business and civic leaders, Hartington residents enjoy a fine educational system, more paved streets than most communities of its size of 1700, an excellent golf course, swimming pool, and two lovely parks. Hartington continues to be a trade center for a large area and shares its assets with rural as well as town residents. Lewis and Clark Lake on the Missouri River, located within one-half hour of driving time from Hartington, provides a wide array of water sports and outdoor activities. Also within a short drive are two Nebraska recreation areas, Niobrara State Park and Ponca State Park. Gavin's Point Dam, part of the 1944 Pick-Sloan Plan, plays an important role in the successful operation of the six main stem dams and reservoirs on the Upper Missouri River Basin. The dam was completed in 1957 at a cost of $51 million.